Original limited edition screen printed posters by Lance McIlhany of The Factory Kids. 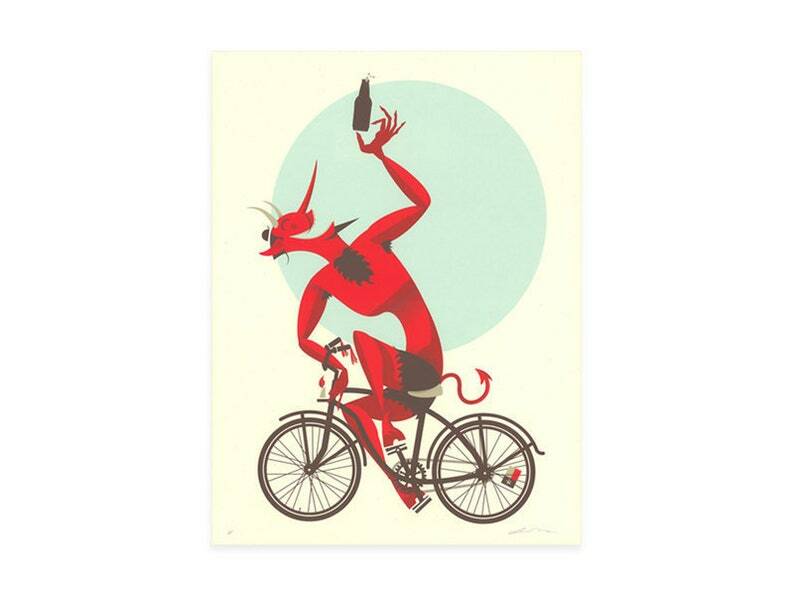 Featured in the Art Crank bicycle poster show and representing mischief in physical form. Delivered quickly and looks great! Looks great! I know my husband will love it. Awesome pin, looks even better in person, & arrived quickly!